Home » Tutorial » Troubleshooting in WordPress – how to find the culprit? Troubleshooting in WordPress – how to find the culprit? As a beginner (but also as advanced user), your WordPress website can present to you some very challenging and confusing issues from time to time. 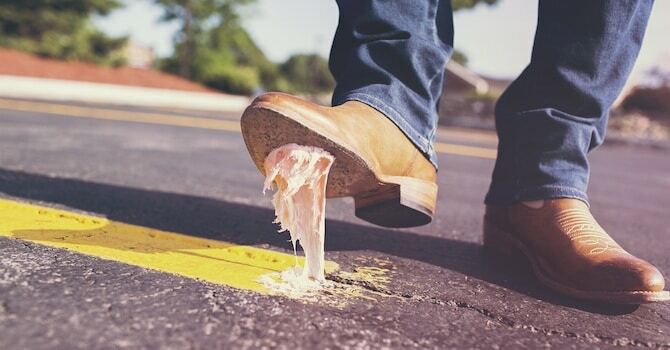 Overcoming these problems and finding out what’s messing up your website can be overwhelming. Especially if you’re unfamiliar with modifying code and dealing with scripts. So how to troubleshoot problems on your WordPress site effectively? Most popular modern web browsers have an Inspect Element tool included. When using the inspection tool of your browser, the browser should expand to show a new area containing the structure of your website (or it may open in a new window). Within this Inspection Window you will see the code structure of your website. You can highlight any element with a left-click of your mouse. In turn this will display any CSS code that is currently being applied to the selected element. When you’re using the Mozilla Firefox browser for example, you can install Firebug which is a very useful browser add-on inspection tool to inspect HTML elements on your website and tweak CSS in real-time. You’re also able to collapse and expand every element by clicking the relevant arrow icon. This will bring in to view all other child-elements within the element you have just expanded. 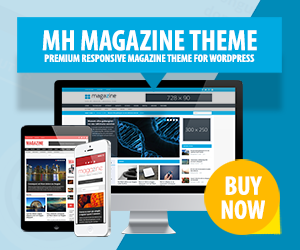 Using the MH Magazine WordPress theme demo as an example, right-click the menu item Home link within the main menu and select your browsers inspection tool. Locate and select the mh-main-nav-wrap element to view the CSS code that is being applied to it. It is highlighted as seen in the image above. That allows you to modify or troubleshoot a particular area. If you’re attempting to make CSS modifications to your WordPress website, you can use the inspection tool to find the correct class(es) needed to style your chosen elements. By using this method you can quite easily locate elements on your website. You can also modify the CSS styles directly within the inspection window. Simply click on the CSS code you would like to change, enter your new code values and hit Enter. Your code changes will be applied in an instant, allowing you to see a live, updated version of your WordPress website within your browser. In many cases, when you’re having issues on your website, they are related to plugins you might be running. One of the most common solutions to solve these issues on your WordPress website, is to deactivate your plugins. Plugins are developed by a variety of 3rd parties, so on occasion your plugins may conflict with each other, producing seemingly random errors. If an error code identifies a particular plugin as having an issue, you can deactivate that exact plugin to resolve the problem via your Plugins administration menu in your WordPress dashboard. In case that doesn’t rectify the issue you can either deactivate all your plugins in a bulk and reactivate them one-by-one. Or you can deactivate only those plugins you suspect to have caused the issue, each at a time to find the problematic plugin, delete it and find an alternative solution. Rename the plugins folder to plugins-old, as this should now allow you to log back in to your WordPress dashboard. Once you have logged back into your dashboard, rename the plugins-old folder back to plugins. You can now safely access your Plugins admin menu in your WordPress dashboard again to troubleshoot all of your plugins as described above. Just as with WordPress plugins you might be running on your site, using multiple Scripts from a variety of different sources can also bring incompatibility issues and lead to problems on your WordPress website. When using scripts, ensure they are enqueued right and configured correctly. Are your scripts being enqueued? In case a script is being manually loaded by having modified your header.php file, it is likely to be out-dated and could be conflicting with other scripts that are correctly being enqueued. With each script you add to your WordPress website, there is a variety of configuration options available for you to use. In some cases they are required for the script to operate correctly. MH Magazine for example, uses a similar function as the one above to load a separate script file that contains a variety of configuration options and attributes for the various scripts being used. Script configuration done outside of these functions could conflict with other scripts, or may not even be working at all. To learn more about how to correctly implement jQuery scripts, please see the following article: Beginners Guide: Implement jQuery Scripts into WordPress Websites. Modifying WordPress themes should be carried out via the use of a child theme. Your child theme will only contain the files that you have modified. This makes it far easier to manage and it removes the need of adding your custom code after every time you update the Parent Theme in the future. All of your custom code is safely tucked away within its own child theme folder. This also makes troubleshooting your WordPress website far easier as you don’t need to search through the entire theme folder when looking for a solution to your problem – especially when related to custom code. CSS stylesheet failing to load? The parent theme CSS stylesheet file is loaded first. It’s then followed by the child theme CSS stylesheet file, which is then associated with the parent CSS file using an array. Notice the difference between how the parent and child theme CSS stylesheets are retrieved? To locate the parent theme stylesheet file you need to dig slightly deeper outside of the child theme folder using get_template_directory_uri(). The location of the child theme stylesheet file is within the child theme folder so you can simply use get_stylesheet_directory_uri(). The entire function is then hooked directly to the action responsible for loading all of your WordPress themes scripts and stylesheets on your WordPress website. When you’ve enabled the Debug Mode, all PHP errors and notices will be visible throughout your entire WordPress website. This allows you to quickly identify problems and look for a suitable solution. However, if you’re not familiar with coding, then sometimes these PHP errors may not be very meaningful to you. It’s also not recommended to run WP Debug Mode on your live site and in general don’t forget to disable debugging when you’re done: How to debug your WordPress website. A good way to find out more about your errors on your WordPress website is to either google it and look for helpful threads online, or to open a thread within the particular WordPress support forums. In this article we’ve presented a few possible methods to troubleshoot your WordPress website – but for sure there are more. In general, when you’re having issues on your website, you should always first check 3rd party plugins, caching, implemented scripts or any custom code you might have applied lately to your website. In case issues appear all of a sudden, then this might also be related to automatic upddates of plugins, changed server configurations by your hosting company or anything else related to your WordPress and / or server environment. Thank you very much, for this article. I was banging my head against the desk. The avoid conflicts part got my stuff working. While using WordPress I’m getting the error Cheatin’ uh?, what does that mean? Hi Jonas, this is a common error notice in WordPress which can have various reasons. You could do some troubleshooting on your site in order to find the culprit (disable plugins, remove scripts or custom code, etc…). Your issue could also be related to your browser, please disable any browser extensions related to cookies or privacy and try again. I recently updated WordPress to version 4.8 and my website menu on the home page has become blurry and the menu list is now over 2 lines. Hi David, it seems you’re not running one of our WordPress themes, so we can’t really help you with that. However, your issue sounds like if there have been CSS changes on your site. You could reach out to the developers of your WordPress theme and check if there have been any changes. They will also very likely be able to solve your issue. Hi Maryann, thanks – we’re happy that you like the article. Based on your explanation we assume that you’re running an ecommerce WordPress theme to create an online shop. If you’re having issues with the configuration of your WordPress theme, we recommend that you reach out to the theme developers for support and further assistance. My website is stuck with old posts. It is not showing posts after 21st September. I disabled all plugins, and reactivated. But the problem is not fixed. Do you have any ideas what the issue is? Hi Prashant, issues like this usually are related to caching. It’s very likely that your site is cached, either via plugins or through your hosting company. Please ensure that you clear the cache on your site and in addition the cache of your browser, that should solve your issue.